Are you ready kids? You bet they are! The Nick Hotel in Orlando is already a major destination for families spending time in Orlando. The cartoon themeing and fun waterpark are a favorite for kids looking for a great ending to their theme park fun. However, Nick hotel is bringing something more to the hotel and looking to keep kids occupied, while letting the parent relax. The all new Spongebob 4D:The Great Jelly Rescue is the newest attraction to feature everyone’s favorite sponge who lives in a pineapple under the sea, and it has made Nickelodeon Hotel the first place you can see it. 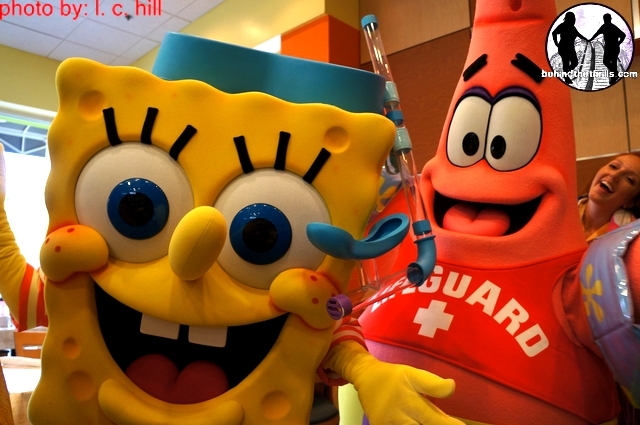 SpongeBob SquarePants 4D – The Great Jelly Rescue was created in partnership with SimEx-Iwerks Entertainment, creative studio Super 78 and Nickelodeon. While it’s not the first time that Spongebob has received the 3D film treatment, it’s the first new adventure in over 10 years. 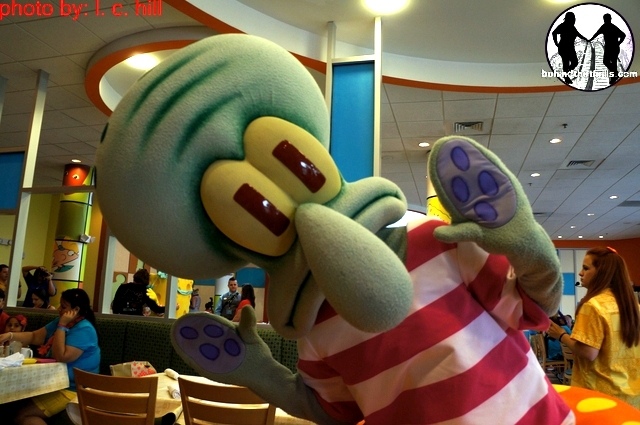 The previous incarnations had Spongebob going on adventures at Cedar Fair parks, as well as a brief appearance in the now closed Jimmy Neutron Nicktoon Blast. This is, however, the most elaborate 4D adventure that the gang from Bikini Bottom has been on. The entire experience is about seven minutes long, and it incorporates in theater effects with state of the art 3D animation. Some of the effects include bubbles, different scents that the characters encounter and surprises that we won’t spoil here. The film also has three different endings that can give guests reasons to come back and experience the attraction over and over again. The 4-D experience will also premiere at attractions around the world and in the U.S. later this year including, the Circus Circus Hotel in Las Vegas, SeaLife in Birmingham, UK, Parque De Atracciones Madrid, the South Carolina Aquarium on May 20th, and the Mystic Aquarium May 26th. If you think that’s all the Spongebob you can handle, then you need to check your Krabby Patties! The Nick hotel also just kicked off the Bikini Bottom Character Breakfast. Guests can wake up with Spongebob, Patrick, Sandy Cheeks and of course Squidward for a delicious (non-seafood) breakfast buffet. There are several shows, including Double Dare, Dora the Explorer and more! While many of the shows and offerings at Nick hotel are free, Spongebob 4D and the Bikini Bottom Breakfast are offered for an additional fee. For more information, including tickets, visit the official Nick Hotel website by clicking here! Previous PostPirates Adventure-Treasure of Seven Seas soft opens with a "Guardians Curse" at Magic Kingdom Next PostMay the 4th be with you: Legoland Florida celebrates with Star Wars Miniland Yoda model building event and more!